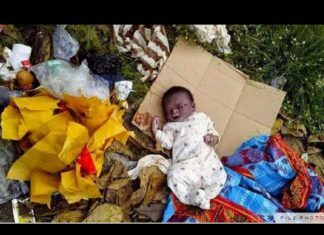 MBERENGWA - A two week-old baby girl was lucky to be discovered alive after she was found dumped under the scotching sun along the tributary of Chamapendere River in Musume in Mberengwa last week. The incident left villagers shocked and they are still trying to come to terms with the incident. Toungues are also wagging as to who could have done the act. The baby was found by Edith Masarira with its hospital card from Murongwe Clinic and it had the name Prudence Hove. “I was just about to leave the river when l heard a baby crying. I walked towards the sound and discovered a small baby who looked weary from the scotching sun. I took the baby to the clinic where she was given good care by the nurses. I don’t know who the owner of the baby is but she is safe now”. She said. The baby is now at Musume Lutheran Mission Hospital and Pastor in Charge, Moment Mavesera pleaded with well-wishers to donate towards the upkeep of the child. The hospital acting sister in charge Gamuchirai Macheza said the baby is in good health although she needs food and clothes. She asked well-wishers to contact administration on 0715926500.